Appearance: This brew pours a glowing amber with a half inch lacy white head. It truly is an amber beer, not just in the name. 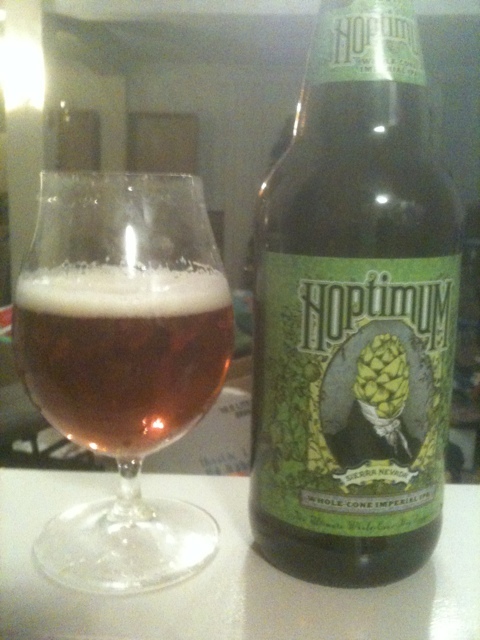 Smell: Floral hops with a sweet malt lingering – very tea like. Taste: A full flavored brew: starts off with a huge punch of floral hops, followed by a wave of caramel malt sweetness, finishing with more hops – more earthy with a bit of spice mixed with the lingering malt. Complex; the yeast seems nicely subtle. Mouthfeel: Medium bodied and mouth coating sweetness. Drinkability: High – very approachable even for a full flavored beer. Notes: Tröegs comes through again! This beer is very complex and delicious. 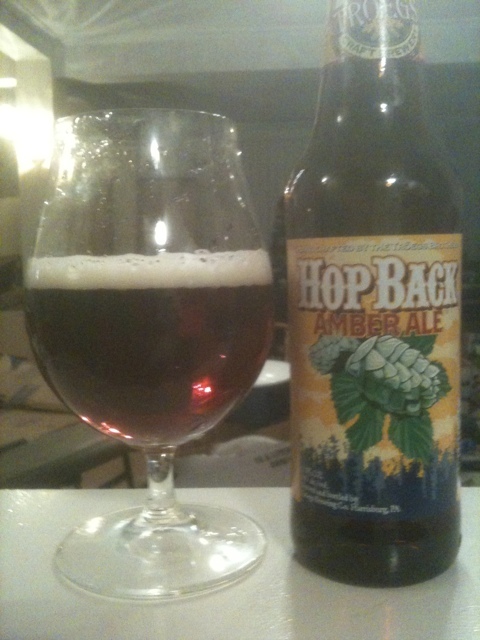 What I love about American Amber Ales is that they can be malt forward, but can still pack a hell of a hop punch. Sierra Nevada "Estate Homegrown Ale"
Appearance: The beer pours to a copper brown with a thick, long lasting eggshell white head. Smell: Distinctive west coast citrus hoppiness. Sweet, mild and hoppy. Taste:Hops up front: citrus and pine – lots of orange and lemon peel – with a sweet and unique malt sweetness. Very interesting and complex. It has an earthy, almost peat funk to it; not a bad thing, just different. Very big, bold, and balanced – lots of hops, but the finish is a lingering caramel sweetness with floral orange hops in the background. Mouthfeel: Medium bodied – I usually would like it a little fuller and creamier, but I think the thinner beer leads to increased drinkability. Drinkability: Large – the glasses were not full for long. Notes: I very unique and interesting beer, not only in flavor profile, but also due to the brewery growing all of the ingredients used on site. It is an amazing feat, and very well executed. 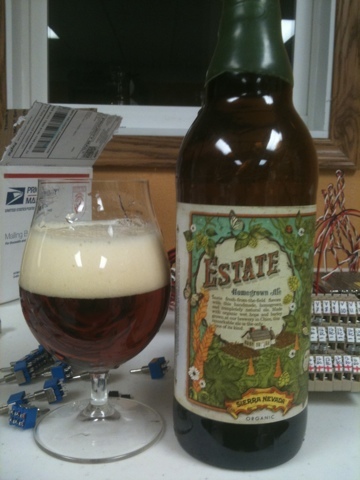 I would love to see more Estate beers from not only Sierra Nevada, but other breweries as well. 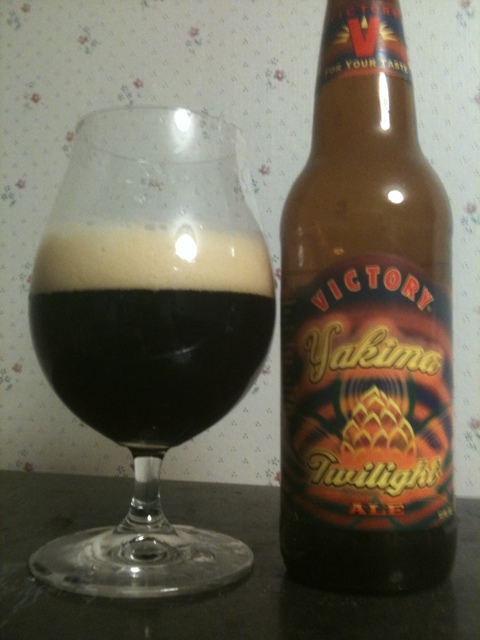 Victory Brewing Co. "Yakima Twilight Black IPA"
Appearance: It pours to a dark mahogany brown to black with a thick khaki head that dissipates to a thinner head with low to medium lacing. Smell: Cocoa covered oranges with a bit of hoppy spice with a nice bit of yeast and heat. Taste: A fine balance between a nice healthy roast and a whole lot of hops that cover many layers; citrus and floral/herbal with a heat and yeast finish with that building up over the drink. I really enjoy Indian Brown Ales, so this is a version or style with more roast, but never burnt. Mouthfeel: Full bodied IPA with a long lingering drying orange zest hops. Notes: A very good beer. This is an interesting new style of beer. Well, more of a new approach and naming to a style called different things through out history. More to come on that later. A really great beer that is a great representation of Pennsylvania craft beer. This style of beer is classified as an American Stout. The focus is on the roasted malts used during the brewing process. Our version uses several of these dark and flavorful malts, thus the color is dark and dense and the taste is robust and hearty. Appearance: A very very dark brown to black with a thin and solid tan head. Opaque and medium viscosity. It left sporadic thin lacing. Smell: A bit earthy with cocoa and a little bit of fresh ground coffee. Taste: Full flavored – roasted malt forward with residual sweetness. Semi sweet chocolate with a lingering lactose sweetness. Occasionally hints of vanilla would pop through as would a bit of heat/esters. Overall, chocolate and coffee all over with a long lasting finish. Mouthfeel: Smooth, creamy, medium weight. Not to dry on the finish, quite coating. Drinkability: Medium. A little heavy for a regular stout, but very enjoyable. 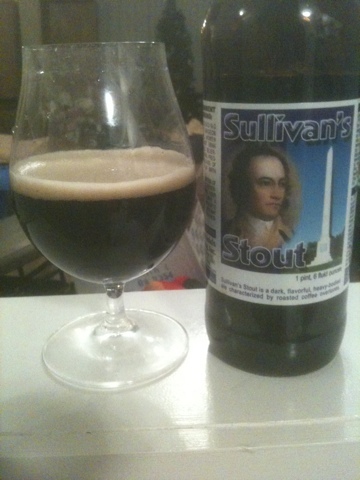 Notes: A very solid, heavier stout – I could only imagine what an imperial version would be like. I dig this beer; my first from this local brewery and I look forward to trying their IPA. Sierra Nevada "Hoptimium Imperial IPA"
Appearance: It pours a beautiful glowing copper orange with a solid, half inch thick off white head, that is easily brought back, and left massive lacing. 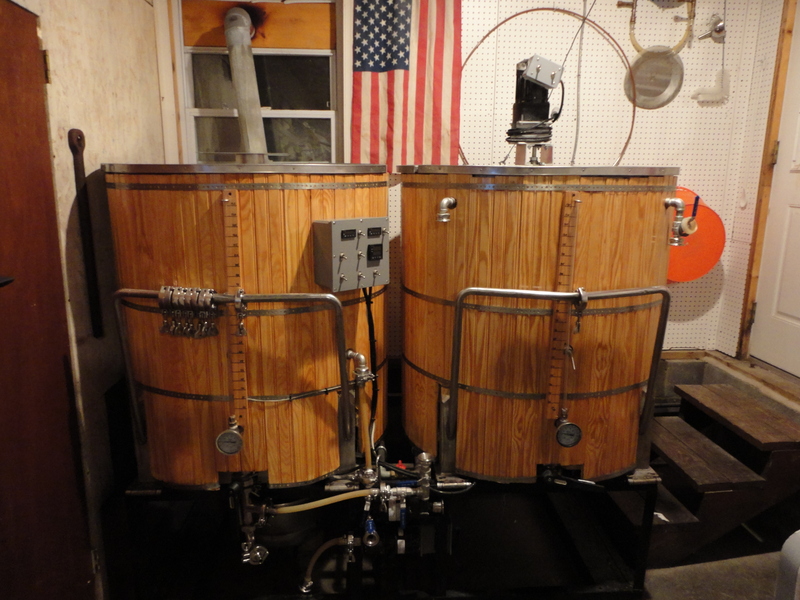 Smell: HOPS! Huge citrus orange and grapefruit hops on the nose. Very pungent with a bit of sweet toasty malt on the back end. Taste: Complex hops all over the place – pineapple with grapefruit, tangerines, and orange zest – with mild malt in the middle, with a yeast ester/heat finish. It leaves a very citrus forward sweet finish that lasts forever. 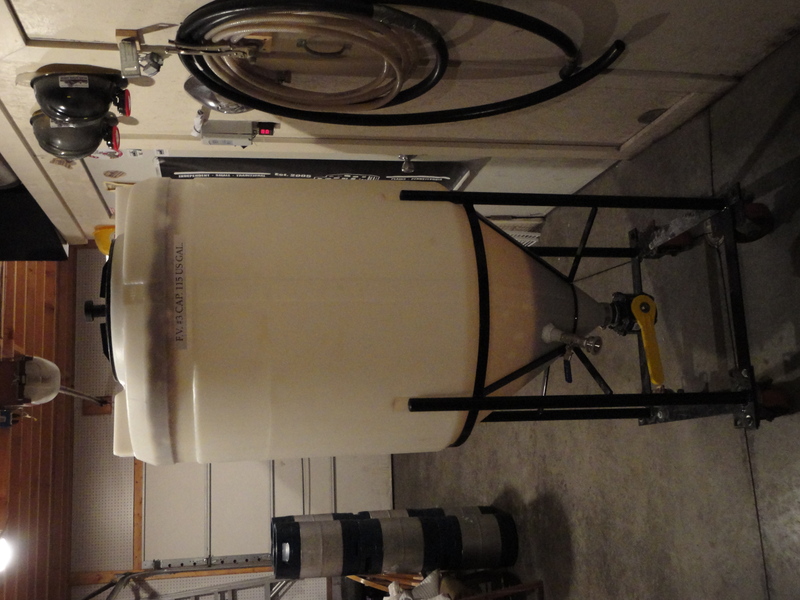 It is a big beer – 10.4% – which comes forward with warming. Very, very tasty and west coast. Mouthfeel: Lower full bodied, creamy across the palate, with a sweet lingering finish. Drinkability: High – the finishing flavor is awesome and makes you want more and more. Notes: A very, very citrus forward, complex IIPA. This is not an entry level beer. I hope they make this one at least annually. Quite different from their Torpedo Extra IPA, which I also highly recommend (review found here). 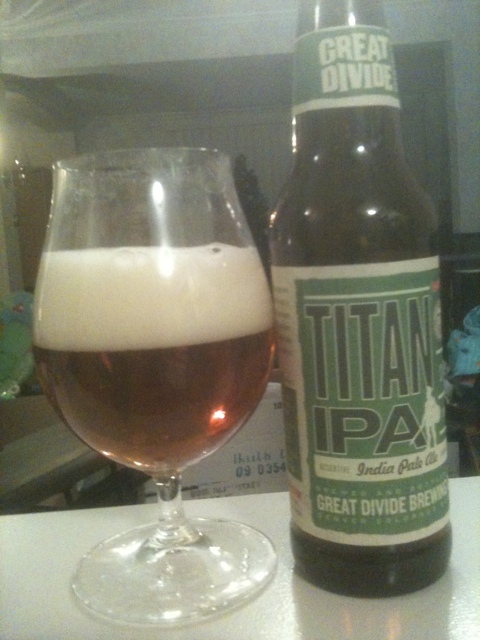 Great Divide Brewing "Titan IPA"
Appearance: As usual, I enjoyed this beer in my tulip glass. It pours a pretty 24k gold yellow with a nice white cap that leaves MASSIVE lacing. Smell: Giant citrus orange hops with a backbone of sweet toasty caramel malt. Taste: A ton of hops, but still very balanced. Starts off big orange citrus followed up by a toasted malt sweetness – like a lightly toasted English muffin. Building over the beer is flavors of grapefruit, yeast esters and a little heat. A whole bunch of citrus and hops. Mouthfeel:Creamy, full with the right amount of carbonation. Drinkability: Higher than some with this ABV. Notes: A very solid American/Colorado style IPA. Great Divide never has let me down; they always make exemplary versions of all the beers they make.